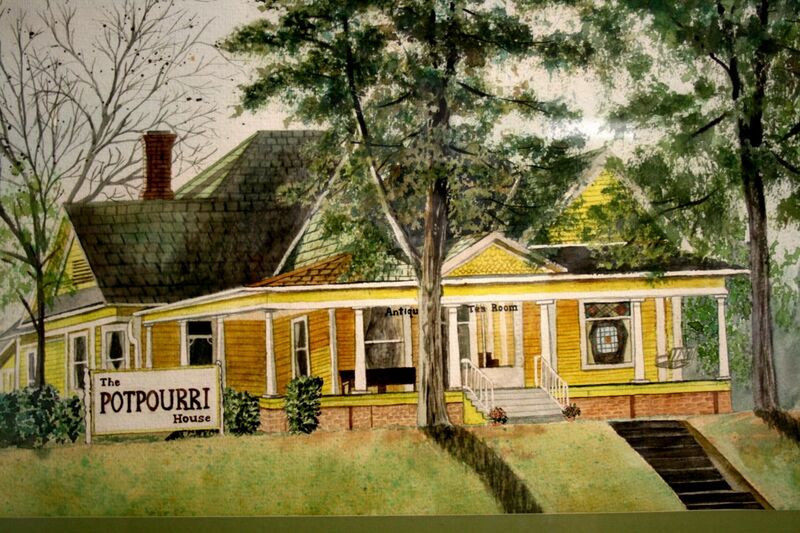 Les and Carol Ellsworth opened The Potpourri House in September 1982 as a tea room in a yellow 1904 Victorian home on Front Street in Tyler. The Ellsworths made many trips to Europe to furnish the new restaurant – and every piece of furniture could be purchased by customers, including their table and chairs! Several years later, The Potpourri House moved to the Off Broadway Shopping Center and incorporated a Victorian-themed garden, with a Women’s Boutique and Gift Shop. 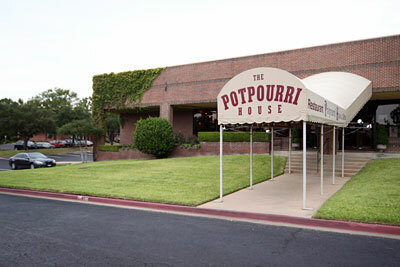 Our current 16,000 square foot location at 3320 Troup Highway has been the home of Potpourri since 1998 and continues the tradition of being Tyler’s most unique shopping and dining experiences. 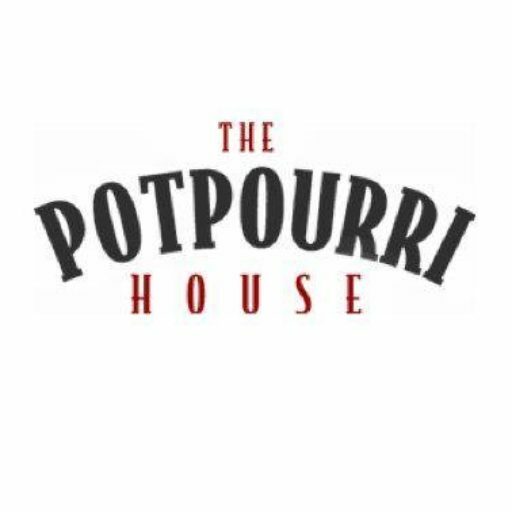 The Potpourri House is the perfect event venue for your business meeting, seminar, fundraiser, luncheon, family reunion, wedding, wedding reception, rehearsal dinner, bridal shower, baby shower, award ceremony, birthday party, anniversary party, Christmas party, graduation party – whatever the occasion! Let us cater an event at your location for up to 800 people! 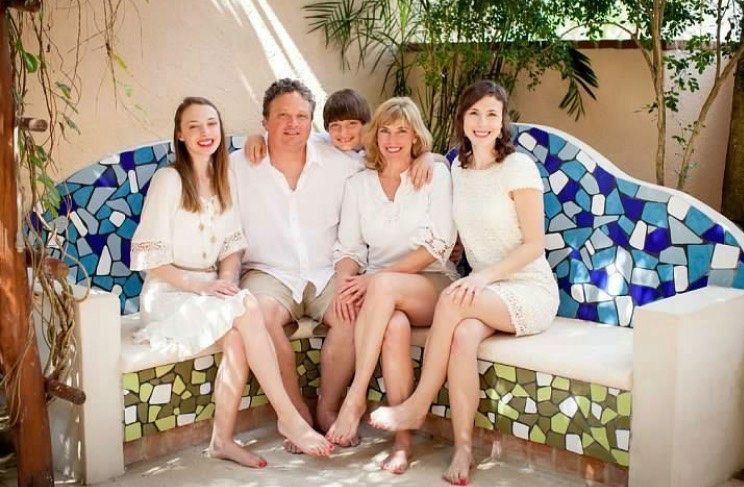 The Ellsworth family still owns and operates the Potpourri House over 30 years later and believes in supporting family relationships. 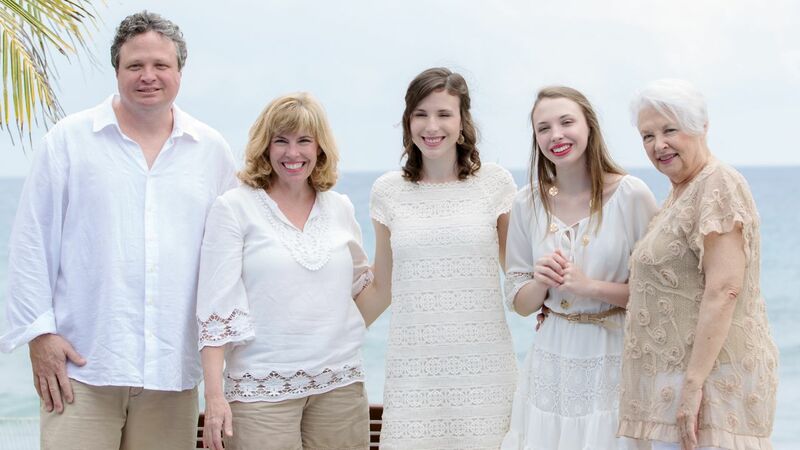 We seek to instill our values into the business at every level, including being closed on Sundays and major holidays to allow our staff to enjoy time with their own families. Whether you come to dine, shop or celebrate, the Potpourri experience is like none other in East Texas!